HAPPY LOVIN’ TIME-SUNSHINE POP FROM THE GARPAX VAULTS. By 1967, Gary S. Paxton had established a reputation as one of the top producers in Los Angeles. Success hadn’t come overnight for Gary S. Paxton. Far from it. He had overcome a lot to get to where he was. Gary Sanford Paxton was born on 18th May 1939, in Coffeyville, Kansas. he was adopted when he just three, and brought up in abject poverty. Life was tough for Gary growing up. Aged eleven, he contracted spinal meningitis. A year later, Gary’s family moved to Arizona, where he discovered rock ’n’ roll. Aged fourteen Gary was playing in his first band. They played both country and rock ’n’ roll. A few years later, and Gary embarked upon what was akin to his musical apprenticeship. He toured the Midwest playing with various bands. This stood Gary in good stead. In 1959, Gary had been a member of various groups. None of them had enjoyed much in the way of success. He was a member of The Rockabillies. They morphed into The Pledges, who recorded on Rev Record. The Pledges then became Gary and Clyde, who single Why Not Confess was released on Time Records. However, it was only when Gary and Clyde became Skip and Flip, that success came their way. Gary became Flip, of the pop duo Skip and Flip. They enjoyed a million selling single with It Was I, which Gary wrote. The pair recorded the song, put together a group, and then began shoping the demo to a label. This would become the way Gary worked when he became a producer. Having shopped the single to various labels, Brent Records wanted to release It Was I. When It Was I was released on Brent records, the single reached number eleven on the US Billboard 100. The followup Fancy Nancy, stalled at number seventy-one in the US Billboard 100. Gary and Skip’s swan-song was Cherry Pie, which reached number eleven on the US Billboard 100. Their short-lived partnership had proved successful. Now, Gary S. Paxton decided to embark upon a career as a producer. Having started his production career in 1959, it took Gary S. Paxton until the mid-sixties before he became one of top producers in Los Angeles. During that period, Gary’s entrepreneurial skills were shining through. He had cofounded several record labels, including Garllo and Star-Burst with Lloyd Johnson, whose son Kenny was a talented songwriter. These labels meant that Gary could write, arrange, record, produce and release a single. This was perfect Gary S. Paxton, whose star was in the ascendancy. By 1967, Gary S. Paxton was one of the top producers in L.A. Gary’s production skills had the uncanny ability to transform an artist’s reputation and fortunes. However, Gary wasn’t just a producer. Instead, Gary was also an A&R man, arranger, engineer, musician and songwriter. Versatile described Gary in more ways than one. Gary didn’t just specialise in one type of music. Not at all. From the early days, Gary had worked with an eclectic selection of artists. That was still the case. He was just as happy working with The Association as he was The Four Freshman. There was no way Gary S. Paxton was ever going to be accused of being an auteur producer. No. 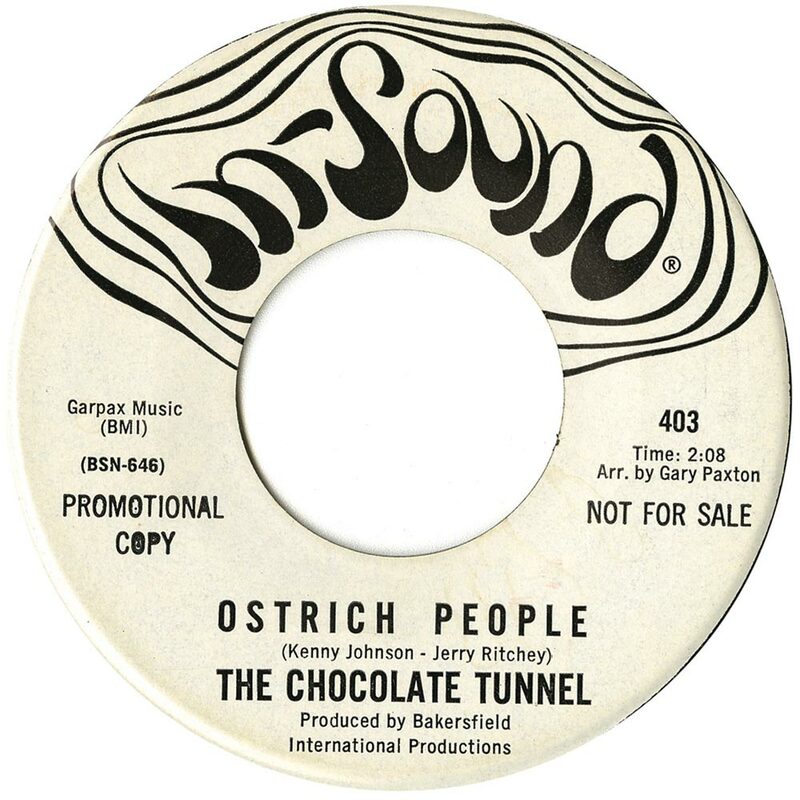 Gary was a versatile producer, who was just as comfortable producing garage rock, psychedelia, R&B, country or sunshine pop, like that on Happy Lovin’ Time-Sunshine Pop From The Garpax Vaults. It was recently released by Big Beat Records, an imprint of Ace Records. Happy Lovin’ Time-Sunshine Pop From The Garpax Vaults features twenty-four slices of sunshine pop. This includes thirteen previously unreleased tracks. So, Happy Lovin’ Time-Sunshine Pop From The Garpax Vaults is a mixture of familiar faces and hidden gems. There’s contributions from Augie Moreno, The Black Box, The Chocolate Tunnel, Jim Gordon, The Jaybees, The Bakersfield Poppy Pickers, The Lords, Mary Saxton and Dave Antrell. 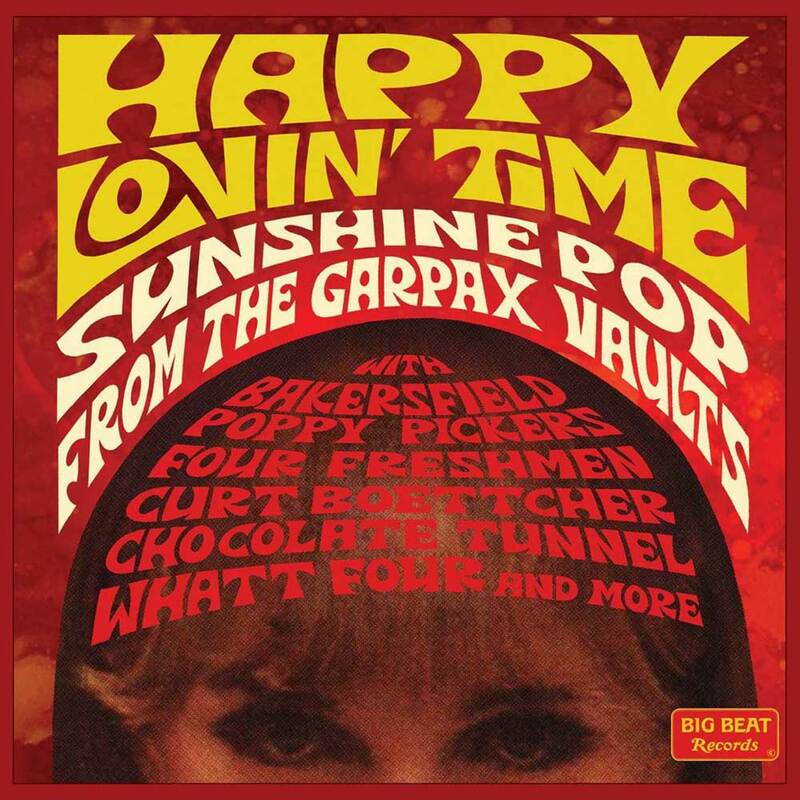 Some of the artists on Happy Lovin’ Time-Sunshine Pop From The Garpax Vaults feature twice. That’s because they’re among the finest purveyors of sunshine pop that Gary S. Paxton worked with. You’ll realise that when I pick the highlights of Happy Lovin’ Time-Sunshine Pop From The Garpax Vaults. Opening Happy Lovin’ Time-Sunshine Pop From The Garpax Vaults is the first of the unreleased tracks, Augie Moreno’s Make Up Your Mind. It was penned by Kenny Johnson, who was a talented songwriter. Sadly, nobody got the opportunity to her this hook heavy pop gem. It’s lain unreleased for nearly fifty years, and makes a welcome and overdue debut on Happy Lovin’ Time-Sunshine Pop From The Garpax Vaults. The New Wing released The Thinking Animal as a single in 1967. It was penned by Kenny Johnson, Bob Hopps and Jerry Ritchley, and released on Pentacle Records. This was the only single that Pentacle Records released. Mind you, what a single it was. It’s psychedelic pop at its finest. Just like Gary S. Paxton, Curt Boettcher is a singer, songwriter, musician and producer. Sadly, his career was cut tragically short when he died in 1987, aged just forty-three. Two of the unreleased tracks come courtesy of Curt Boettcher. There’s a slight similarity to Scott Walker. That’s apparent on Christina, In My Dreams which Gene Parsons and Jon Paxton penned. It’s a hauntingly, beautiful ballad. Stay a Gene DeNovi composition, is Curt’s other contribution. This heartfelt ballad is the perfect showcase for Curt Boettcher, whose a truly talented singer capable of making a song come to life. 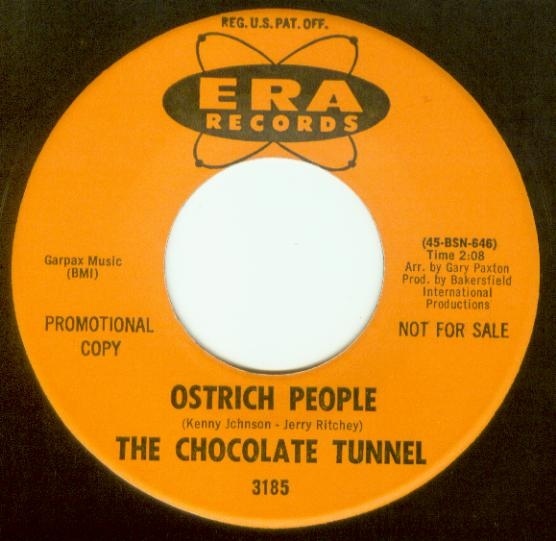 The Chocolate Tunnel only ever released one single, Ostrich People. It was released in 1967 on Era Records. It’s a Kenny Johnson and Jerry Ritchley composition. The version on Happy Lovin’ Time-Sunshine Pop From The Garpax Vaults is different from the single version. Instead it’s the stereo mix of this almost dramatic slice of psychedelic pop. Dave Antrell’s career as a singer and songwriter began in the sixties, and continued into the early seventies. However, in the sixties, Dave worked with Gary S. Paxton. He penned some of the tracks that Gary produced. However, deep down, Dave wanted to forge a career as a singer. So, he recorded several tracks with producer Gary S. Paxton produced. Three of the tracks feature on Happy Lovin’ Time-Sunshine Pop From The Garpax Vaults. They’ve never been released before. The first is She Loves Me, a joyous and celebratory slice of sunshine pop. You Take Things Lightly Babe is a driving slice of psychedelic sunshine pop. If I Can Help It has a similar driving beat to You Take Things Lightly Babe. However, it takes on an anthemic sound, and isn’t short of hooks. This makes If I Can Help It one of best of the unreleased tracks on Happy Lovin’ Time-Sunshine Pop From The Garpax Vaults. The Bogart Cult are without doubt, something of a mystery group. Almost nothing is known about them. All that I could find out, was that The Bogart Cult recorded Games in 1969. This Beatles’ inspired song was never released as a single. Instead, it’s case of what might have been? Games is a beautiful ballad penned by Kenny Johnson. If it had been released, it might have given producer another hit single. Another group to feature twice on Happy Lovin’ Time-Sunshine Pop From The Garpax Vaults are The Jaybees, a Canadian band. 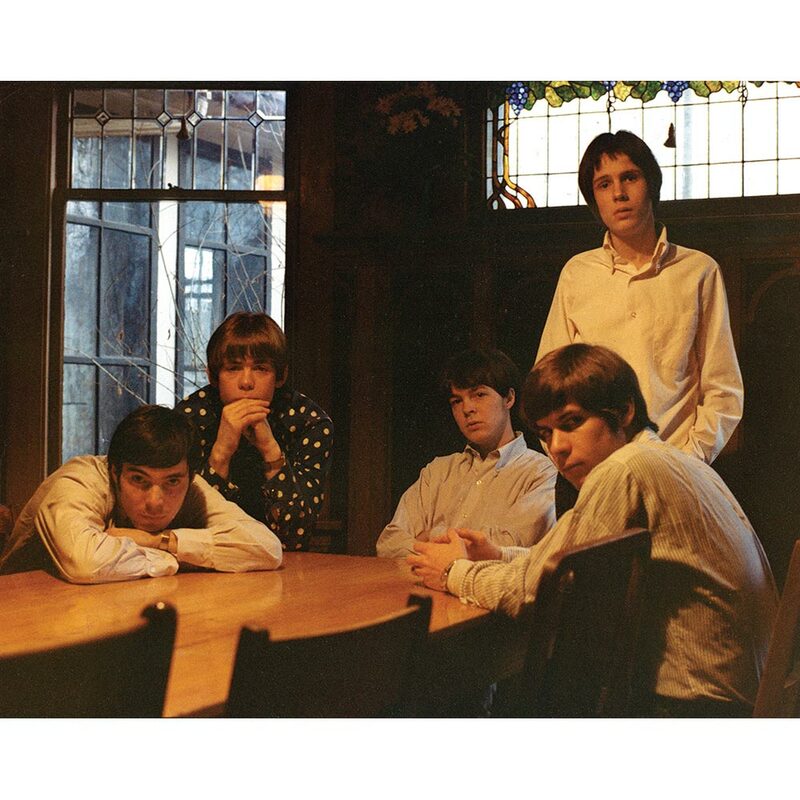 They released Who Do You Think You Are as a single in 1967. This Kenny Johnson penned track was released on Columbia. Elements of pop, psychedelia and rock are combined by The Jaybees. There’s even a nod to The Beatles. On the B-Side was Bad Sign. another Kenny Johnson composition. Stylistically, it’s similar to Who Do You Think You Are. However, of the two tracks, I much prefer Bad Sign. Not only has it a slightly more psychedelic sound, but it’s much more catchy. The Bakersfield Poppy Pickers were essentially a studio project that recorded on Gary S. Paxton’s Riverbottom label. Kenny Johnson played an important part in their recordings. He also penned Clean Up Your Own Backyard and It’s Written All Over My Face. These two tracks were recorded in 1969. By then, The Bakersfield Poppy Pickers’ music is best described as genre-melting. Everything from pop, psychedelia and rock was combined by to create two tracks that epitomise the late sixties sound. Privilège are another Canadian band. released The Highly Successful Young Rupert White as a single in 1968. Lysergic and haunting, it’s another of the highlights of Happy Lovin’ Time-Sunshine Pop From The Garpax Vaults. It was released in 1968, on Capitol. However, the version on Happy Lovin’ Time-Sunshine Pop From The Garpax Vaults is the stereo mix of the single. 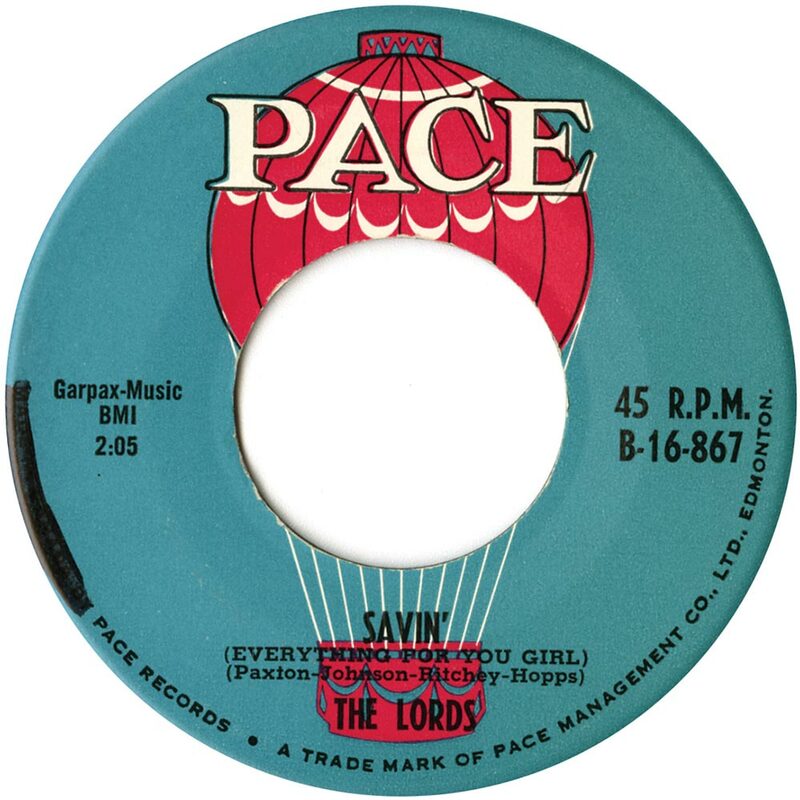 My final choices from Happy Lovin’ Time-Sunshine Pop From The Garpax Vaults, come courtesy of The Lords. Their first contribution is Savin’ (Everything for You Girl), a Bob Hopps, Kenny Johnson, Gary S. Paxton and Jerry Ritchley composition. As it takes on a rocky hue, there’s a nod to the Rolling Stones, before taking a psychedelic twist. The other tracks from The Lords, is the unreleased Don’t Put Me Down. It’s a fusion of rock and psychedelia, that’s far too good to have lain unreleased for nearly fifty years. Somewhat belatedly, Don’t Put Me Down makes its debut on Happy Lovin’ Time-Sunshine Pop From The Garpax Vaults. Many of the tracks on Happy Lovin’ Time-Sunshine Pop From The Garpax Vaults date from 1967 to 1969. By then, Gary S. Paxton had spent the last eight years working almost nonstop. When he had time to himself, Gary enjoyed sampling the rock ’n’ roll lifestyle in Los Angeles. By then, L.A. was one of America’s musical capitals. The great and good of music came to live and record in L.A. Just like Gary, when they weren’t recording, they came out to play. When they came out, it was easy to be tempted. Drink and drugs were readily available. Like many rock stars, drink and drugs became part of Gary’s diet, as he explored and enjoyed Tinseltown’s nightlife. He was a successful producer who was living the dream. Gary S. Paxton had come a long way to the poverty of his early life. He had climbed out of poverty, and made a living out of music. Now he was one of L.A.’s most successful and versatile producers. 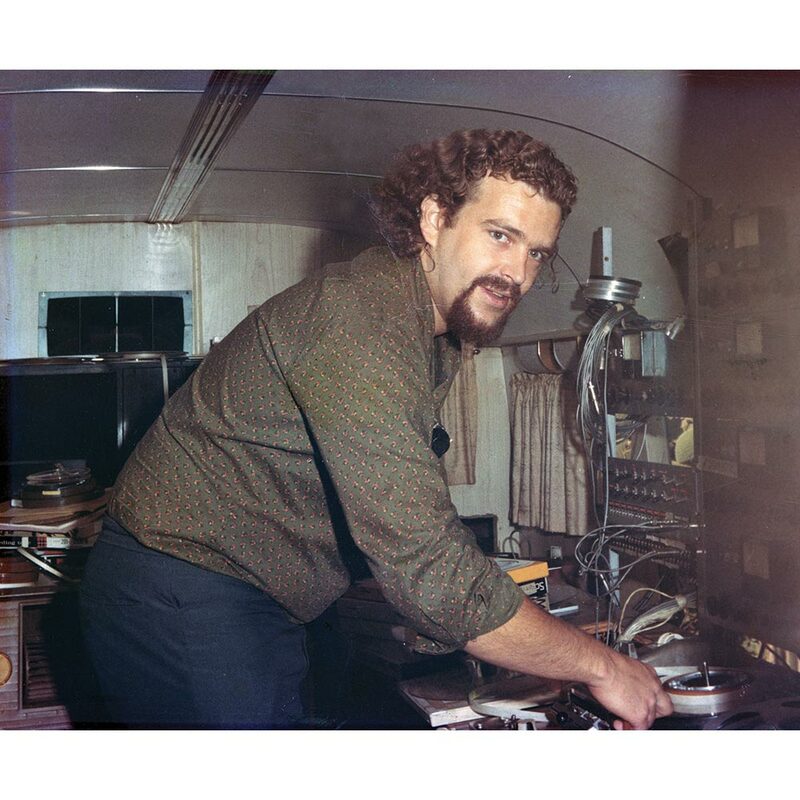 He was just as comfortable producing garage rock, psychedelia, R&B, country or sunshine pop, like that on Happy Lovin’ Time-Sunshine Pop From The Garpax Vaults. It was recently released by Big Beat Records, an imprint of Ace Records, and showcases Gary’s just how talented and versatile a producer he was. That’s not all. By the late sixties, Gary was also one of the most successful producers in L.A. It had taken him since 1959 to get this far. He had already produced hits like Monster Mash and Alley-Oop. Not only was Gary living the dream, but he was making dreams come true. Gary had the ability to transform people’s careers. Previously unsuccessful artists went on to enjoy commercial success. Most people wouldn’t have even considered turning their back on such a successful career. That’s what Gary S. Paxton did when he discovered religion. Gary turned his back on drink and drugs, and moved from L.A. to Nashville. Gary S. Paxton’s career as one of the most successful producers in L.A. was Gary’s in the past. His future lay with religion and the Lord’s work. This came as a shock to Gary’s friends and colleagues. However, for Gary this was the end of a chapter in his life. That chapter in Gary S. Paxton’s life is celebrated on Happy Lovin’ Time-Sunshine Pop From The Garpax Vaults, which was recently released by Big Beat Records, an imprint of Ace Records. ← DAVE HAMILTON’S DETROIT DANCERS.